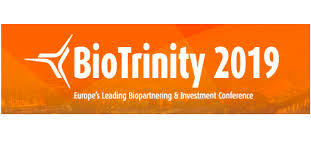 BioTrinity, now in its 13th year, is Europe’s leading Biopartnering and Investment conference, and generates unrivalled opportunities for life science companies, academics, investors, and major pharmaceutical players to come together to do deals and establish collaborations. BioTrinity 2019 incorporates significant improvements including a move to etc.venues 155 Bishopsgate, a central London location. This new venue allows us to keep all activity on one floor which will focus the energy and facilitate interaction, thereby maximising visibility for our sponsors, exhibitors, BioLaunchPad® presenters and creating even more opportunities for networking and informal meetings.